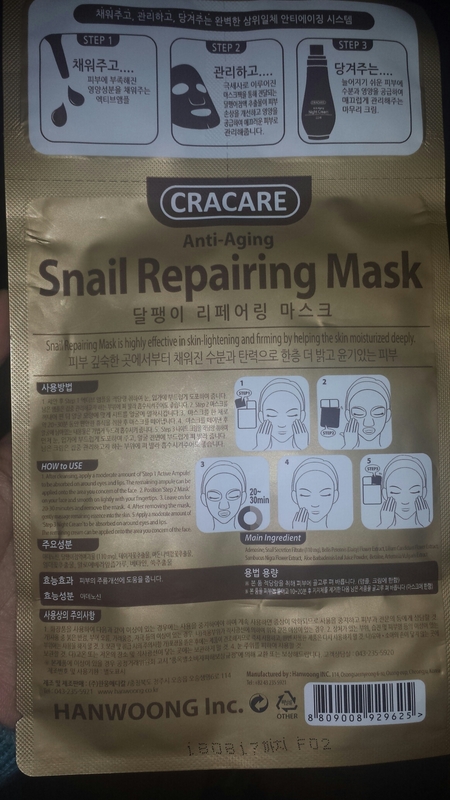 I received this mask from skin18.com for review purposes. This is a 3 – step essence mask focused mainly on Anti-aging, skin lightening and firming benefits. This is the first time I am using a 3 step Mask so I was really excited to try it. I never buy any 3 step masks mainly because I have lots of ampoules, Essences and night creams at home that I want to finish. Anyway onto the mask now, the packaging looks beautiful and attractive. I have always been attracted to gold colored packages. And on the back we have clear instructions in English too. 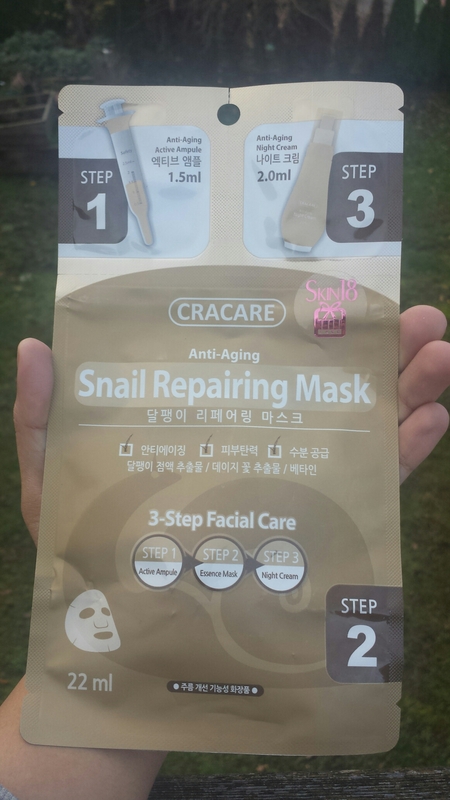 This mask contains snail secretion which is highly effective in skin lightening and firming by deeply moisturizing the skin. 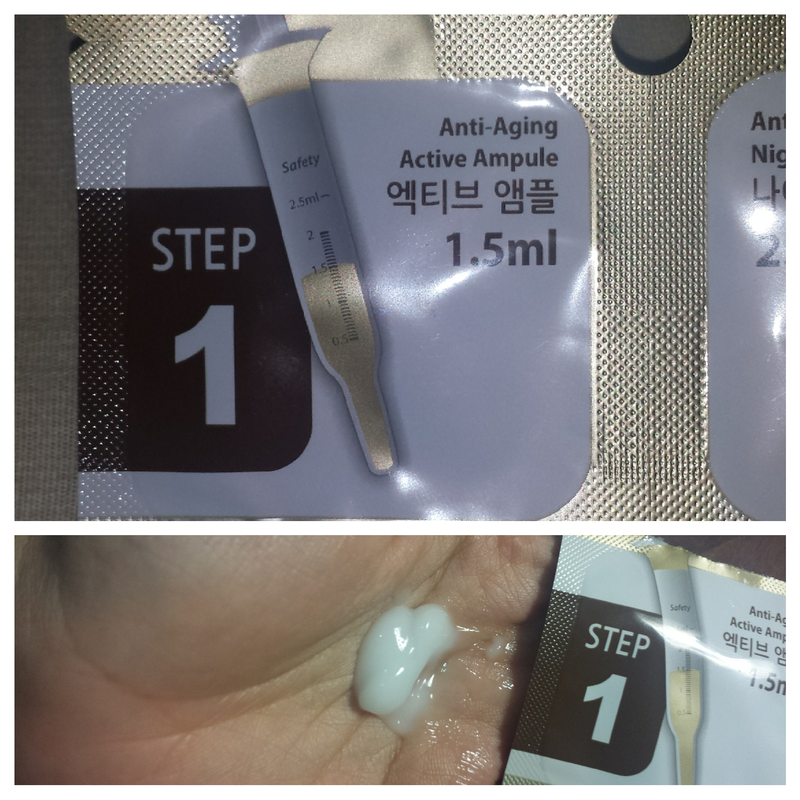 The first step consists of applying the Anti-aging active ampoule after cleansing. The instructions state to apply the ampoule focusing on the area around the eyes and lips. However I had so much of ampoule that I used them on my face and neck and I still had some left over which I applied on my feet. The ampoule had a light gel like consistency and quickly absorbed into my skin. I liked that it felt light and not greasy. It had a slight perfume like scent which faded on application. 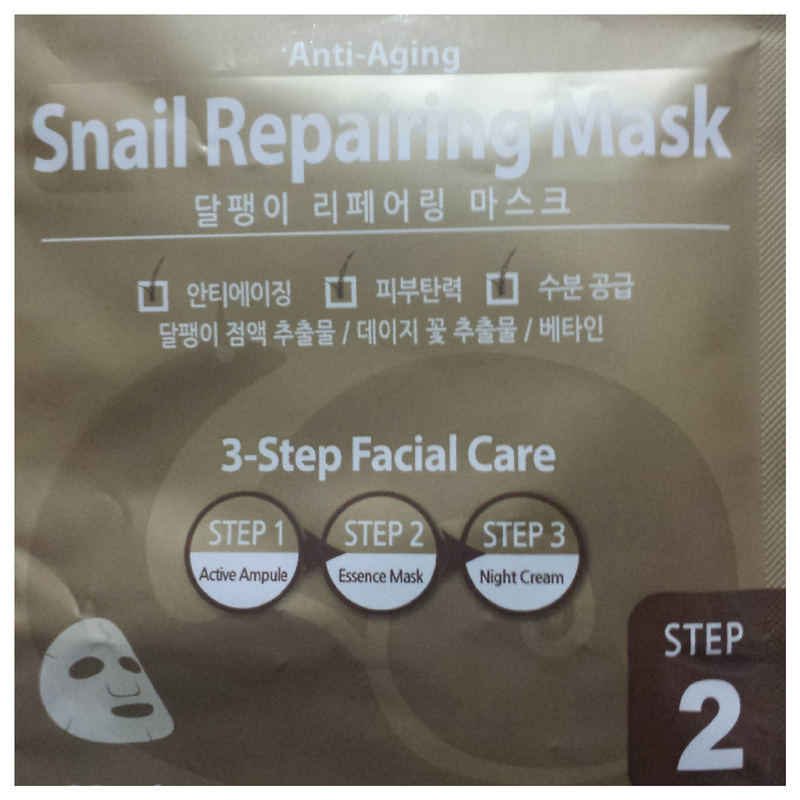 The second step is the snail essence mask. The mask itself felt thick and strong but soft on my skin. It was loaded with lots of essence but I did not experience any dripping. I liked the mask , it seemed to hold all the essence together on my face for 30 minutes and I felt comfortable with it the whole time. After removing the mask, I gently massaged the remaining essence into my skin. The third step is the Anti-aging Night cream.Again the instructions state to apply the cream focusing on the area around the eyes and lips. And just like the ampoule, I had so much of the cream that I applied them on my face, neck and feet. The night cream is a thick, rich cream that did not feel heavy or greasy on my skin. Though it does take sometime to get absorbed into the skin. But once it is ansorbed, the cream made my skin hydrated , soft and bright. 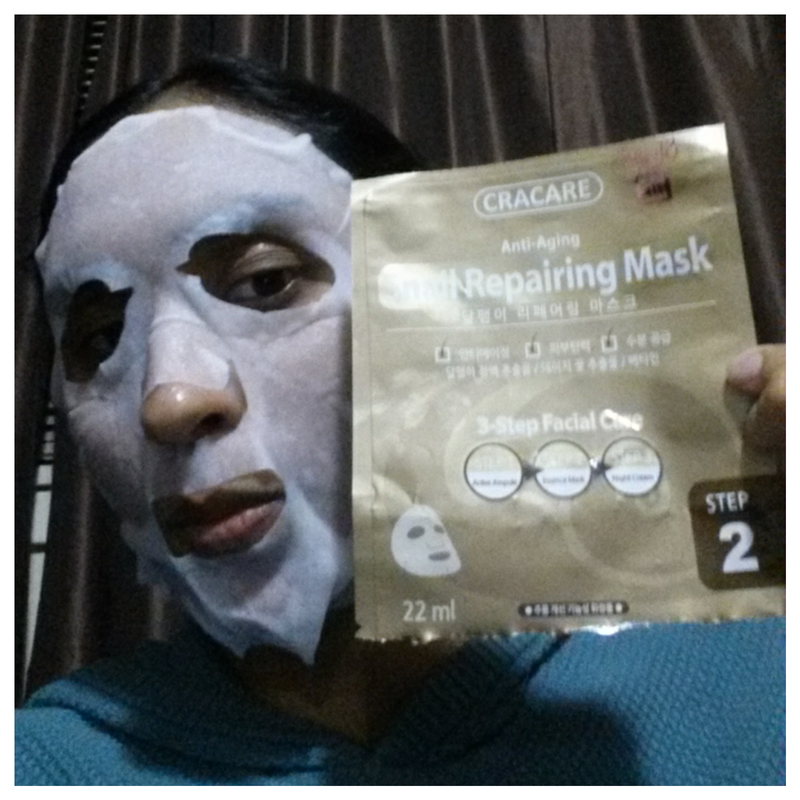 Overall I really loved pampering my skin at night by using this mask after a long day. This mask is perfect for travel as well as for everyday use , especially on those days when you might feel so lazy to go through the whole night time skin routine. I liked that it was so easy and convenient to use ( I used this whole 3 step mask lying down in my bed) and wake up to glowing , beautiful skin in the morning. Thank you so much skin18.com for supplying this amazing mask! Skin18.com is an amazing natural korean skincare website based in Hong Kong and they frequently run great offers , cash back coupons, freebies ,discounts and giveaways! They ship internationally worldwide. Skin18 also has a rewards program, where you can earn points for reviewing, liking and sharing and turn those points into cash at their store! Our daily UV exposure , natural aging, hormonal changes and past acne marks cause an overproduction of skin darkening pigments making our skin look dull with an uneven skin tone. As we age, our natural ability to shed dead skin cells decline resulting in dark spots and uneven skin tone becoming more visible. ●Glycolic , helps in brightening and aanti-dark spots. 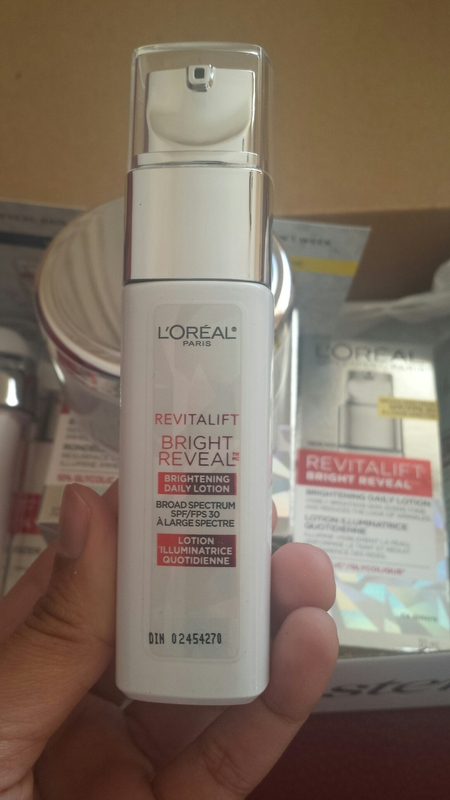 ●Pro-Retinol , improves skin renewal minimizing wrinkles and uneven skin tone . This scrub has a light citrusy scent that disappears soon and does not linger long. This scrub had small exfoliating beads which helps in removing dead cells from the skin. My skin felt soft and smooth after using this product . 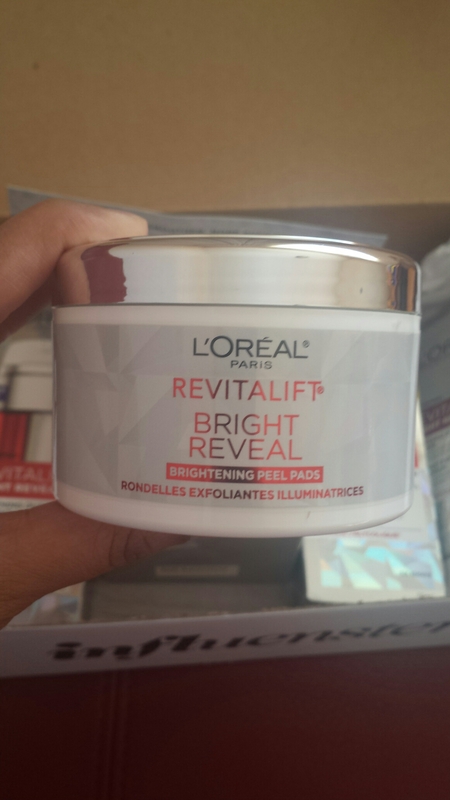 Next is my favourite product in this line, ●RevitaLift Brightening Peel Pads. The tub comes sealed and the pads are pre-soaked . When I first opened this product , I got a strong smell but the scent thankfully fades after application . The pads are so heavily soaked that one can cut it into two and use it twice. In this case, a little goes a long way . I have used similar products like this in the past but they Re very expensive . These pads work just as effectively as the other high end brands but cost less. I like using them every night and waking up to bright, smooth and glowing skin . 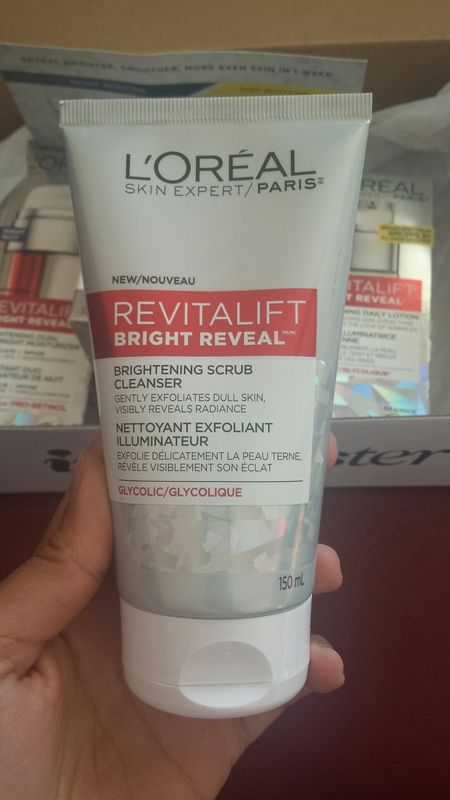 Next is the ●RevitaLift Brightening Daily Lotion . This moisturizer contains SPF30 which is a must for me in any day cream . It has a citrusy scent but it fades away after application . 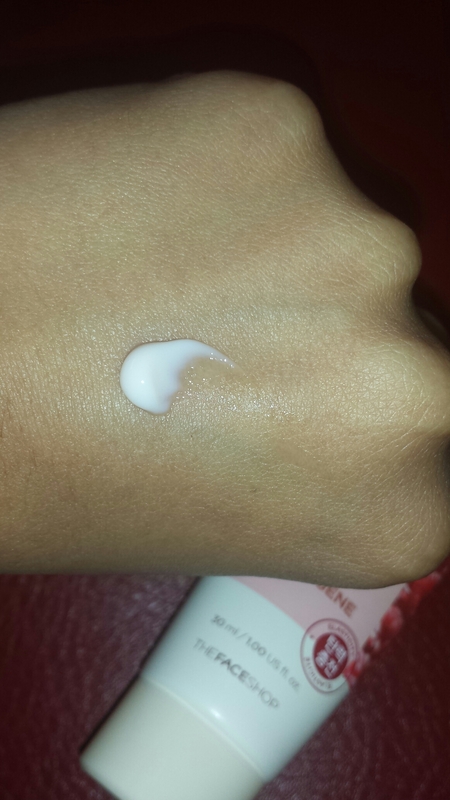 Though the moisturizer has a thick texture , it absorbed quite well into my skin and did not leave a white cast . My skin felt soft and smooth after application . 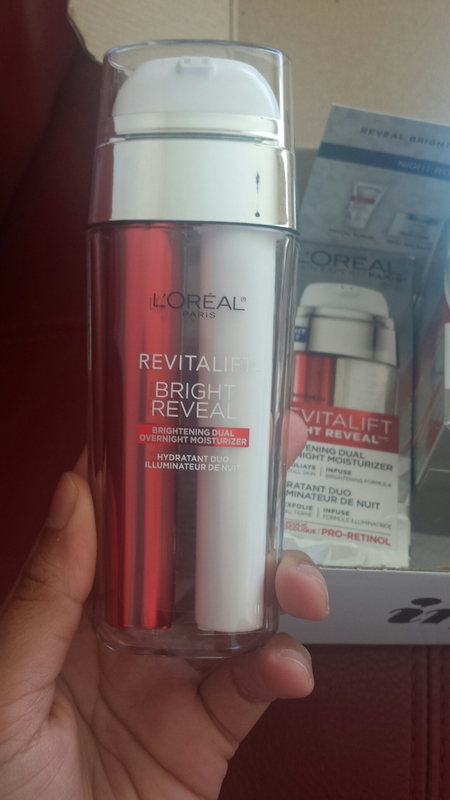 And finally we have, ●RevitaLift Brightening Dual Overnight Moisturizer. This product also had a light citrusy scent but it quickly fades away upon application . This product comes in a dual shaped pump in which one side emits a lotion like serum and the other side emits a gel like moisturizer . The product applies smoothly but took sometime to sink in and get fully absorbed into the skin . It is not very moisturizing but for my combination skin it seems okay. And if my skin still feels dry , I just layer another moisturizer on top. I have been using this routine for a month , and it seems to be helping with my dark spots. They do seem lighter and my skin looks more radiant and bright. I received these products from Influenster for testing purposes and all opinions are my own. Deeply moisturize & plump skin to diminish signs of aging with Hyaluronic acid. Enriched with vitamins & botanicals these nutrient rich formulas ensure soft, smooth, supple skin and a healthy, youthful glow. I absolutely love and highly recommend this cleanser. It didn’t dry out my combination / acne prone skin. The cleanser looks and feels like a gel. It doesn’t foam very much but has a nice , light floral scent. After rinsing, my skin feels refreshed, clean and well hydrated. This product is vegan , cruelty-free and uses natural and organic ingredients. 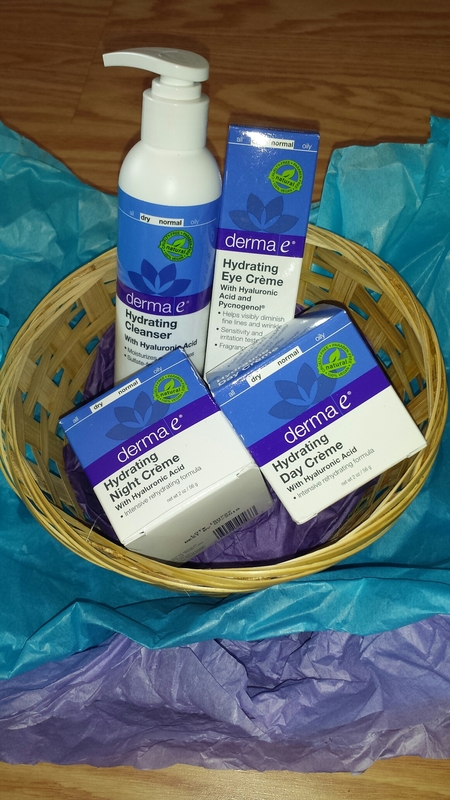 Hydrating Day Creme with Hyaluronic Acid. This creme is perfect for my combination / acne prone skin. However if you have very dry skin , this will not help. The creme is very light & non- greasy. It smells great and doesn’t break me out. Makeup goes beautifully on top of it. 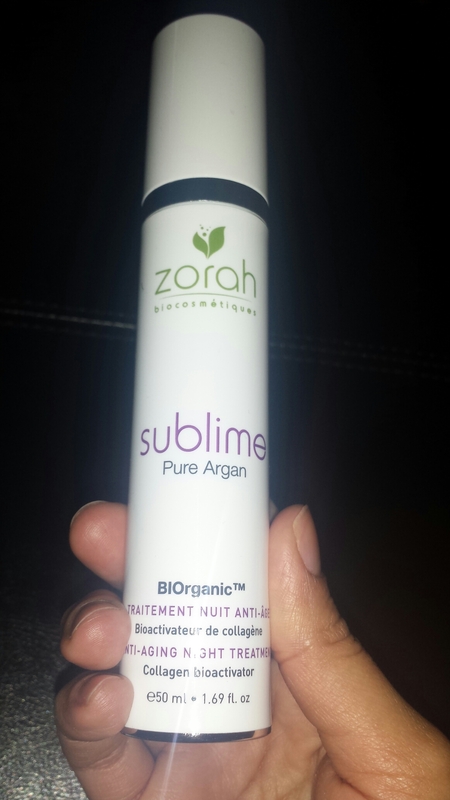 This moisturizer does keep my skin plump and moisturized throughout the day. Plus it also gives me a nice glow. Again, this product is vegan, organic and cruelty-free. This creme is very similar to the day creme. However, it is a bit more rich and hydrating. But it didn’t break me out and nourishes my skin perfectly. It also leaves me with a nice glow and works well under makeup. It is not greasy and smells great! My skin did feel slightly plumper after using this. This creme is also vegan, organic and cruelty-free. I like this creme. It feels very soothing when applied and it hydrates the eye area quite well. It is not too greasy and it’s fragrance free. It doesn’t irritate my eyes and the packaging is nice too. I love that it’s vegan, cruelty-free and paraben free. Overall, I loved using the whole set as part of my skincare routine and I will definitely repurchase. Have you tried any of these products? What are your thoughts about them? I received this in my Topbox subscription for the month of May. This product is a sleeping pack that you apply after cleansing your face and before going to bed. 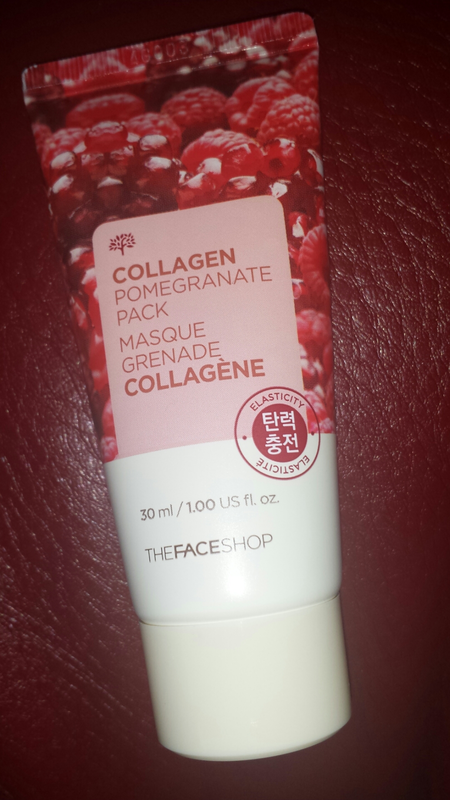 I tried this product as soon as I could as I always seem to like faceshop products. My first impression was that I liked how it smelled. The cream is not too overwhelming and the smell goes away after application. It did not smell like pomegranate to me though but I liked it all the same. The cream looks heavy but as soon as I applied it on my face, it got absorbed into my skin quickly. I also liked it’s texture. 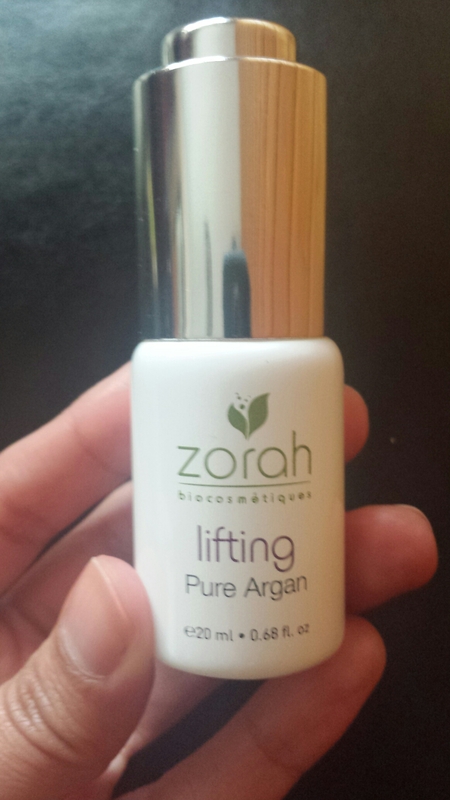 Zorah organic cosmetics are innovating, ultra – performing, vegan & cruelty-free. They are also gluten-free and fair-trade. They contain 0% parabens, sulfates, GMOs, propylene, glycol, EDTA, polyethylene, PEG, perfumes or any other product harmful to health or the environment. Argan oil protects the skin, makes cuticles supple, boosts vital skin functions , restores the skin barrier and neutralizes free radicals. In organic cosmetology, argan oil is used to produce the excipient that helps active plant ingredients penetrate the epidermal barrier. This anti-aging night treatment is simply sublime. A scientific innovation in facial care with its plant base enriched with orthosilic acid (vegetable silica), Omega 3, 6 & 9, and more than 10% hyaluronic sodium. Sublime smoothes and plumps your skin naturally without the harmful effects of chemical agents. Bioserum lifting revitalizes and renews your skin. This amazing double action serum rapidly reduces the appearance of wrinkles and fine lines around your eyes and mouth. It activates fibroblasts under the skin, which increases the production of elastin and collagen. On the surface, the serum binds to skin to achieve an instant smoothing effect.